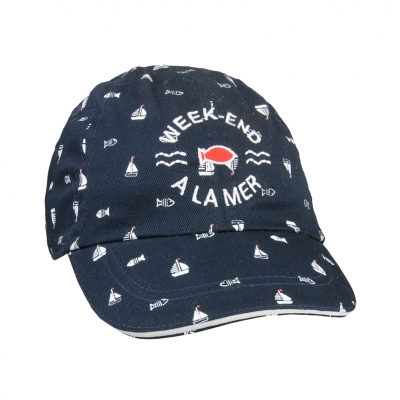 Navy cap, for boy. 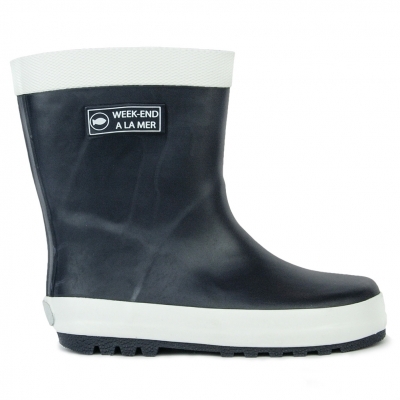 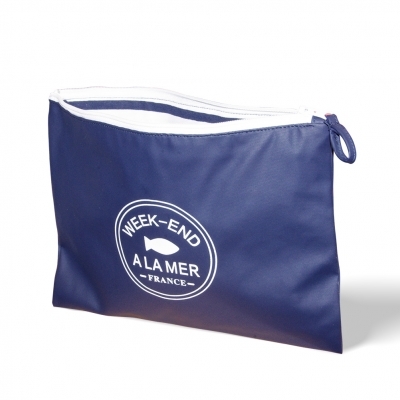 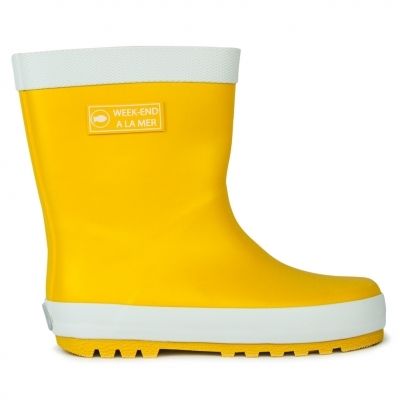 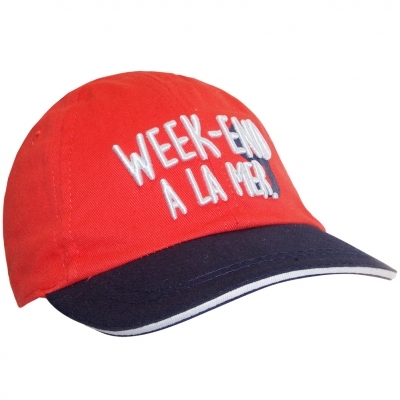 This model has a superb white "Week-end à la Mer" inscription embroidered on the front. 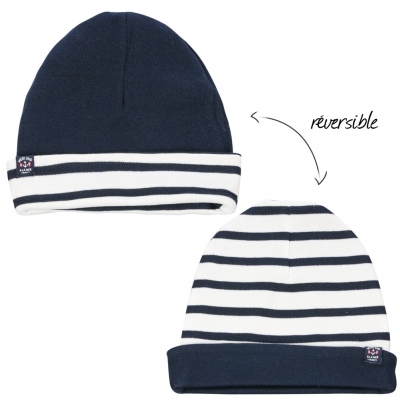 Reversible hat, for boy. 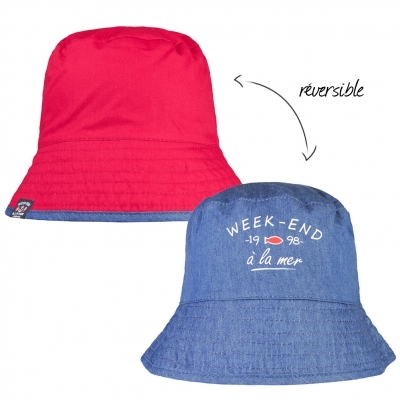 You can wear it on the jeans effect side or on the plain red side. 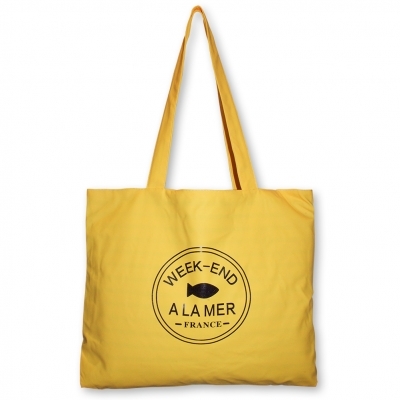 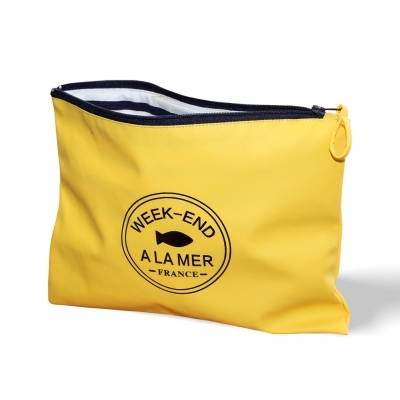 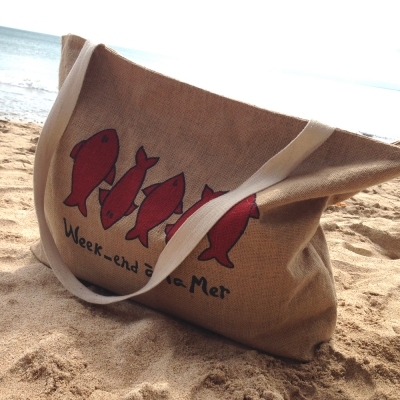 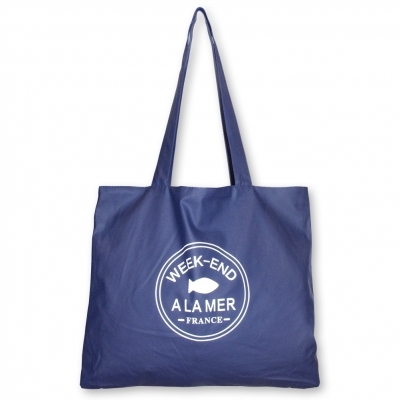 It has a "Week-end à la Mer" inscription on the jeans effect side. 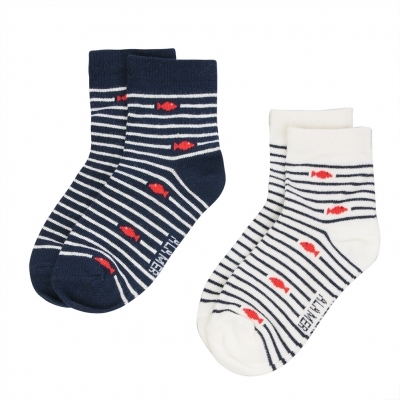 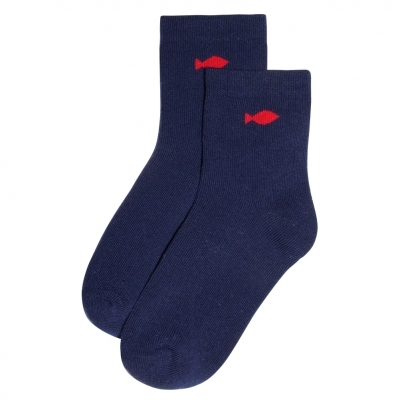 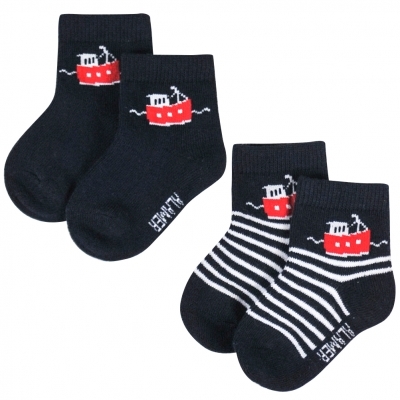 This set of two pairs of unisex baby's socks is made in plain cotton jersey with cuffs. 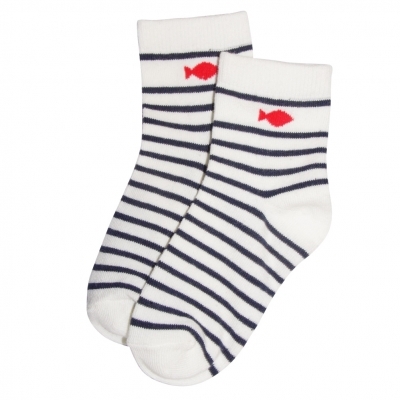 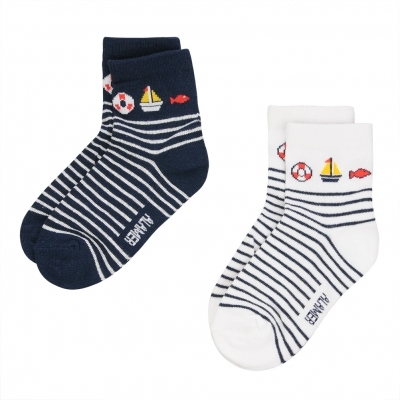 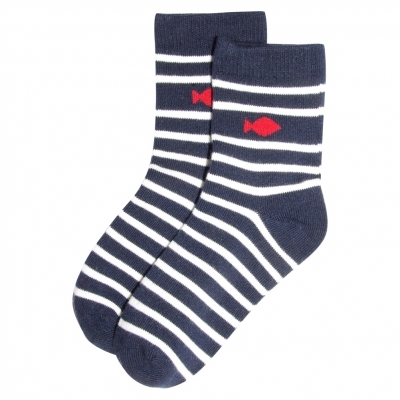 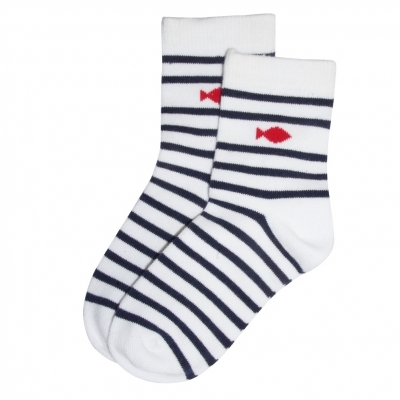 Adorable boy's or girl's socks to add a finishing touch to a baby's outfit.